Oasis Cancun Lite is a budget-friendly, all-inclusive family resort that offers everything you need in a vacation: great location, plenty of entertainment, superb service and excellent amenities that make your stay a comfortable one. 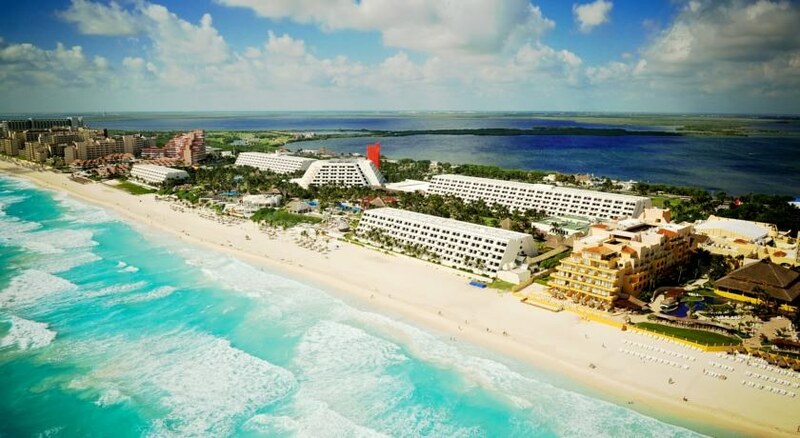 The hotel is located on the Grand Oasis Cancun Resort Complex. It comes with a host of free stuff, including day passes to sister hotels, preferential treatment to events and unlimited access to bars and restaurants. Guests are offered spacious, beautifully decorated rooms that offers pleasant views of the garden or the golf course. With 7 restaurants, 7 bars, quarter-mile pool, beach clubs, spa, fitness centre, kids’ club and a range of evening entertainment options, Oasis Cancun Lite ensures you’re entertained from dawn to dusk. It also offers its guests an all-inclusive package, which includes free entry to events, live performances and nightclubs, direct access to bars, lounges and restaurants and unlimited access to planned activities by the hotel staff. 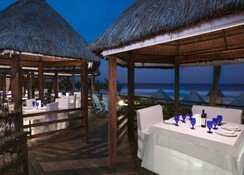 Oasis Cancun Lite is a seaside destination hotel located in Cancun, Mexico. Situated right on the beach, the views from its rooms are simply astonishing. Located in a large landscaped tropical garden, the property is divided into numerous complexes. The 650 metres long beach is about 50 metres from the hotel complex. Its sister hotels and resorts are also located in the neighbourhood—with your all-inclusive package, you can have direct access to the sister hotels. 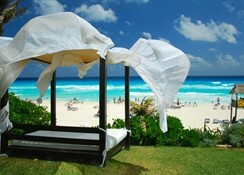 There are restaurants and shops around the hotel, and the Cancun International Airport is about 16 km away. The resort offers 192 rooms in two categories: golf views and garden views. The room are stunningly designed and feature a host of amenities: room service, king-sized or queen-sized beds, balconies, unlimited beverage access, gym access, safety deposit boxes, Wi-Fi facilities, in-room childcare and laundry services. 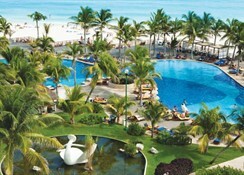 The balconies have lovely views of the ocean, lagoon or the garden of the hotel. 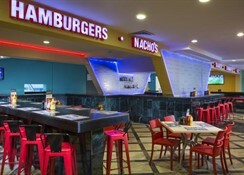 Mexico is known for great food and this hotel would not disappoint. 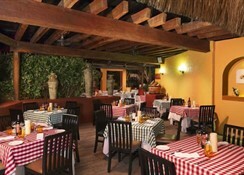 The decor of the restaurants is simple, warm and inviting. The emphasis is on food which is wholesome and comforting. They are kids-friendly too. The restaurants are as follows: Mr. Wimpy snacks bar, Hippie Chic Grill & Barbeque for grilled favourites, Dragon Wei for Chinese, Taco’s Mexican Food for light Mexican food, Sirocco Sport Bars for great beer and finger food, Ibiza restaurant for Mediterranean cuisine, Joy’s Trattoria for Italian dishes, Hacienda Sarape for authentic Mexican cuisine and Tatish for international cuisine. The hotel boasts plenty of fun activities. Lounge all day by the quarter-mile pool – the longest in Cancun – and drink to your heart’s content in one of the three swim-up bars. Guests can also enjoy non-motorised water sports such as kayaking and snorkelling. There is a fitness club to pump the iron and a multi-sport court for tennis or soccer. There are also daily activities like aerobics, yoga, Pilates, Zumba and water fitness classes, cooking and dancing lessons, pool and beach activities. Keep your kid’s busy at the kids’ club while adults can pamper themselves at the hotel’s spa that has great body and beauty treatments. The hotel organizes a number of tours and excursions, that help you to know the countryside better. Evenings see Vegas-style shows, live concerts, lounge and nightclub performances, music festivals, resident DJs and poolside skits. 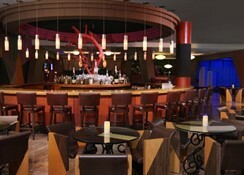 The hotel provides special packages for weddings, social gatherings and business meetings. 24-hour front desk Garden Bar Outdoor Pool (seasonal) Wellness Spa and wellness centre Evening Entertainment Kids club Nightclub/DJ Entertainment Staff Games Room Golf course within 3 km (Additional charge) Tennis court Restaurant (à la carte and buffet) Reception Concierge service ATM/cash machine on site Tour Desk Currency Exchange Entertainment and family services Babysitting/child services (Additional charge) Cleaning - Daily maid service Ironing service (Additional charge) Dry cleaning (Additional charge) Laundry (Extra Charge) Business Centre Meeting/banquet facilities (Additional charge) Air conditioned Shops Gift shop Lift Family Room Wi-Fi is available in all areas and costs USD 20 per 24 hours. Public parking is possible on site (reservation is not possible) and costs USD 10 per day. Wi-Fi is available in all areas and costs USD 20 per 24 hours. Public parking is possible on site (reservation is not possible) and costs USD 10 per day.